This metro area known as Norfolk, Virginia Beach, Hampton, and Newport News is bordered to the west by the Elizabeth River and to the north by the Chesapeake Bay. 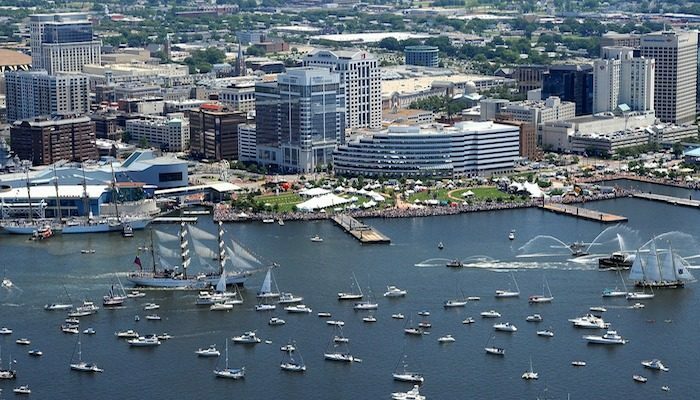 Norfolk is the historic, urban, financial, and cultural center of the region. It’s the largest Navy base in the world, and is one of NATO’s two Strategic Command headquarters. Norfolk is also an important railway and shipping hub. Virginia Beach is 18 miles to the east. Hampton/Newport News is the area to the north, using the I-64 Bridge Tunnel. Nearby, are the National Historical Parks of Yorktown, Jamestown, and Williamsburg, which are great for running. 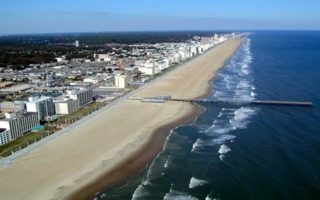 The best places to run in Virginia Beach are on its iconic 5-mile long beach, which is beautifully wide, and has hard, packed sand. Alongside is a popular 2.7-mile boardwalk. 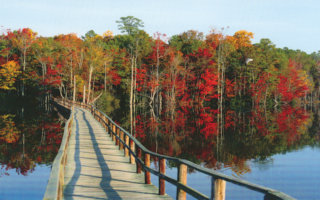 First Landing State Park, has miles of trails through marches, forests, and along the water. The best place to run in Norfolk is the 9-mile Elizabeth River Trail, which is a great way to explore downtown and the waterfront. Mount Trashmore is a favorite for an off-road run and some stairs! 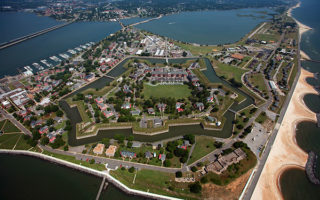 In Hampton/Newport News, we love historic Fort Munroe and Buckroe Beach, with miles of trails bordering Chesapeake Bay. 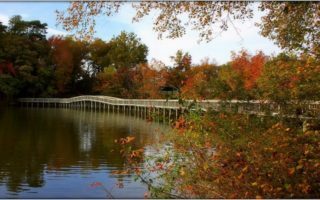 The best place to run in Newport News Park is in its lovely park, as well as the 5-mile Noland Trail, which follows the shoreline of Lake Maury. For a destination run, we recommend the fields and trails of Yorktown National Historical Park. A 2,888 acre park located on Cape Henry at the northern end of Virginia Beach. 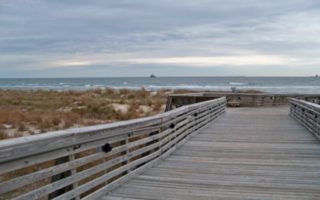 It's a great option to combine a beach run with the park's 19 miles of trails, through dunes, marshes, & forests. The Cape Henry trail is among the best for running. Decent park with trails, a lake, and a good opportunity to get in some hill work. There are about 2.5 miles of trails in the park. 10 mile trail from Norfolk State University following the Elizabeth River northward to Terminal Boulevard. 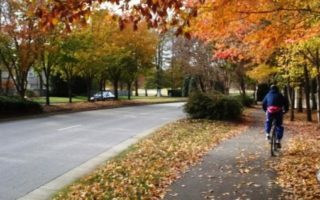 Most scenic sections for running are at the southern end near Norfolk State University, and the northern end. A scenic run around this 500-acre National Monument, the largest stone fort built in the United States. Several miles of waterfront path, beaches, and a fort to run around - what could be better? 5 mile gravel trail around Lake Maury, within Mariners Museum Park in Newport News. Picnic areas, benches, 14 bridges, and mile markers. Very pleasant off-road run. 4 mile paved trail around the perimeter of Hamptons Golf Course. A popular off-road spot for running, with shade, woods, views of the course. A pleasant 3.2 mile loop on a paved trail, paralleling Kiln Creek Parkway, just south of Newport News Park and near the airport. Pass by pretty homes, villages, and a golf course. 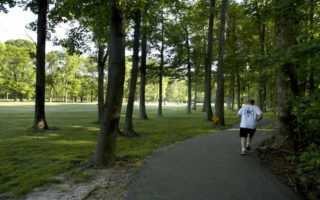 7,000 acre park has a large range of activities, and many options for runners. 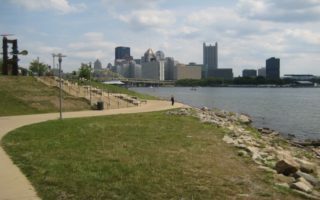 5-mile loop along a bike path, miles for trail running, and a 2 mile paved lakeside road on east side of the Reservoir. One can put together a unique and memorable run in National Historical Park, consisting of battlefields, historic Yorktown and its waterfront, and some quiet side roads that are part of the park tour. The weather in Norfolk & Virginia Beach is typical of the U.S. mid-Atlantic. Summers are hot and humid, with average highs near 90F (32C) and nights that don’t really cool off. Run early and hydrate accordingly. Winters are mild to cool, with average January high temperatures near 50F (10C) and lows right around freezing. There is occasional snow and ice. Spring is the best season for running, with lots of blossoms and warm temperatures. October-November are also pleasant. 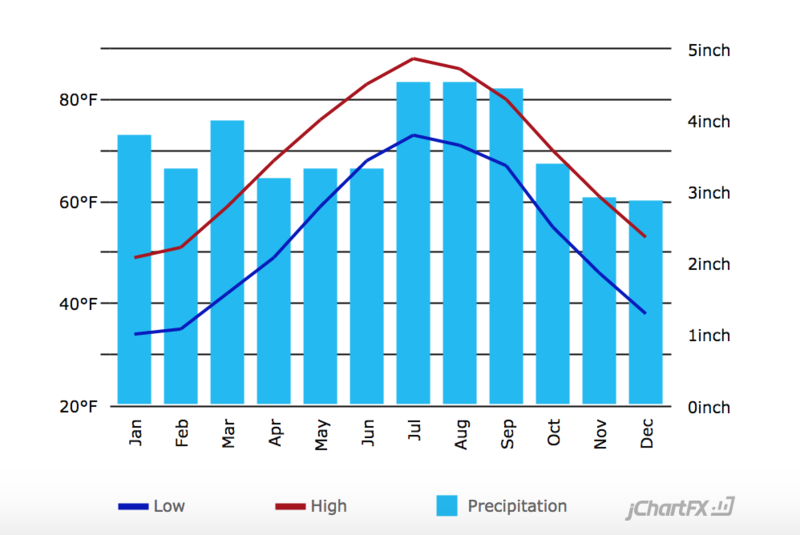 The area gets a fair bit of rain, evenly spread throughout the year. There are frequent thunderstorms from April to September. In this ares, we there are two places to stay near the best running. 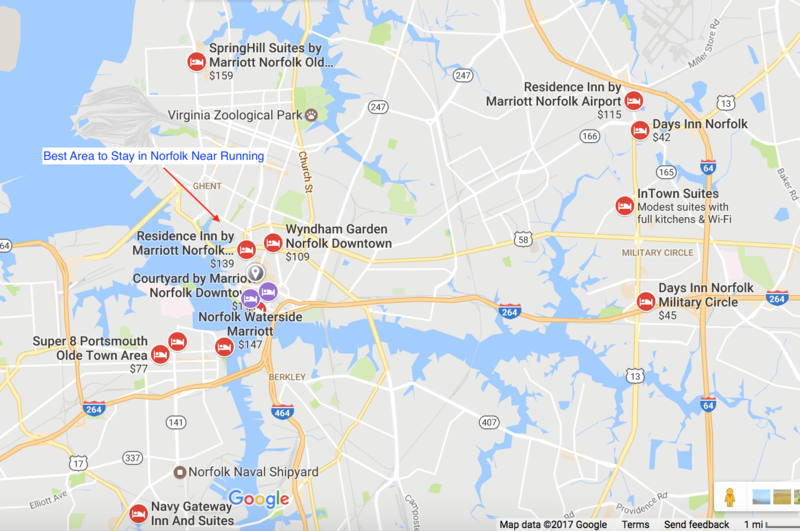 In Norfolk, there is a cluster of hotels downtown, near the water, which is near good watersisde running and the Elizabeth River Trail. There is also a cluster of hotels just west of I-64, but the area is not as good for running. In Virginia Beach, there is a large selection of hotels right on the beach.